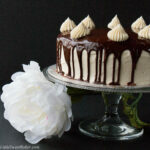 This is a rich dark chocolate fudge cake surrounded by a creamy white chocolate buttercream. It’s finished with a smooth and glossy chocolate ganache. One bite of this triple threat chocolate cake, and you will be hollering “OMG!” It’s that good. 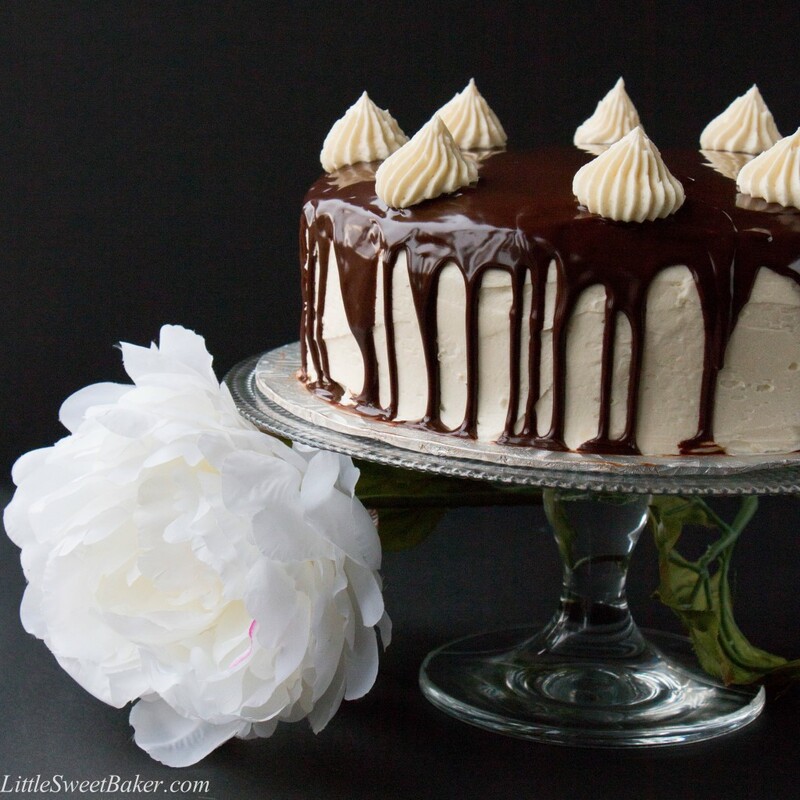 It has been a while since I made a decadent layer cake, and I’m also co-hosting Fiesta Friday #105 this week, so I wanted to make something extra special. Fiesta Friday is a recipe sharing online party. 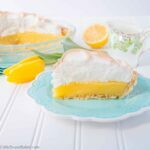 It’s a great place for me to get new recipe ideas and meet other fellow bloggers. The virtual party is open to everyone and anyone who is interested in food. It’s hosted by the funny and entertaining Angie, and this week my partner-in-crime is Julianna@FoodieOnBoard, a fellow Canadian, so you know the party is going to be wild, eh? This cake is beautiful to present and serve, yet easy to make. It starts with a simple one-bowl chocolate cake recipe made by hand. The frosting is just butter, powdered sugar, vanilla, and some white chocolate whipped together. While the ganache is just equal parts chocolate chips and whipping cream melted together. The chocolate cake itself is rich, dark, and bold. It’s so fudgy, it’s almost like a brownie. 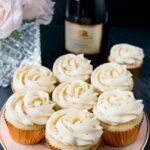 The white chocolate buttercream is soft, smooth, and creamy. The cake and the frosting complements one another like yin and yang. Then, just to take things up an extra notch, there is a shiny semi-sweet chocolate sauce over the top and dripping down the sides of the cake. All to give it an extra chocolaty finish. This elegant cake is a breeze to make, but it will have your family and friends thinking you slaved in the kitchen all day. 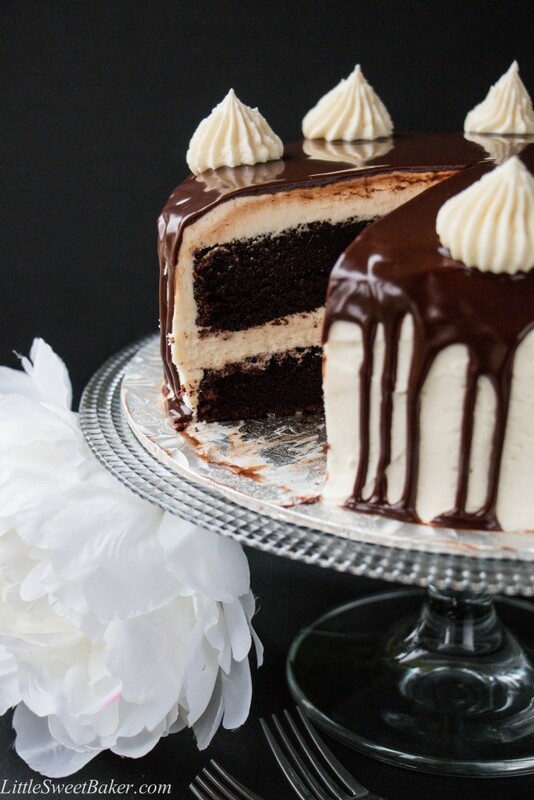 This is a rich dark chocolate fudge cake surrounded by a creamy white chocolate buttercream, and finished with a smooth-glossy chocolate ganache. In a large bowl, whisk together the sugar, flour, cocoa, baking soda, baking powder and salt. Add the eggs, buttermilk, coffee, oil and vanilla. Whisk everything together for 1 minute until well blended and smooth; batter will be very thin. Divide batter evenly between prepared pans. Bake for 30 to 35 minutes or until a toothpick inserted in centre comes out clean. Cool, in pans, on a rack for 10 minutes. Turn cakes out and cool completely. Using an electric mixer or stand mixer with paddle attachment, beat the butter until pale and fluffy. Add the melted white chocolate and vanilla, mix until smooth. Then add powdered sugar, 1 cup at a time, mixing in between until blended. Frost cooled cake and refrigerate. Heat the heavy cream in a small saucepan until just boiling. Pour over chocolate chip and cover for 5 minutes. Whisk until smooth and let cool to room temperature before pouring over chilled cake. The cake can be stored in the refrigerator covered-up for to 4-5 days. Best served at room temperature. Cake recipe adapted from Hershey’s Black Magic Cake. Amazing cake. Made it for a work function and everyone loved it! Will be my go to chocolate cake and the icing was divine!! Thank you for your wonderful review, Kim! I’m thrilled everyone loved it. Have a great weekend! This cake was not only super impressive to serve, it was also super tasty! Thank you for sharing! 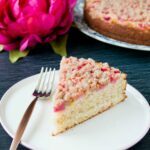 This recipe is absolutely the very best cake from scratch I have ever made! 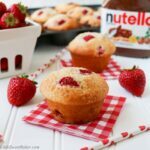 I love your recipes and have shared your site with my friends so they can enjoy all the delectable desserts you post. Aww, thanks for the word-of-mouth. I’m glad you enjoyed the cake, Grace. Have a wonderful day! I am making this cake and just figured out that the salt was omitted to the instructions but was on the ingredients. Lovely cake by the way. Been making your cupcake recipes to your cakes. Have a great weekend! I hope it’s not too late, but the salt should be added with your dry ingredients. But even if you missed it, it won’t effect the taste of the cake too much. Thanks for catching my typo. Have a great weekend! 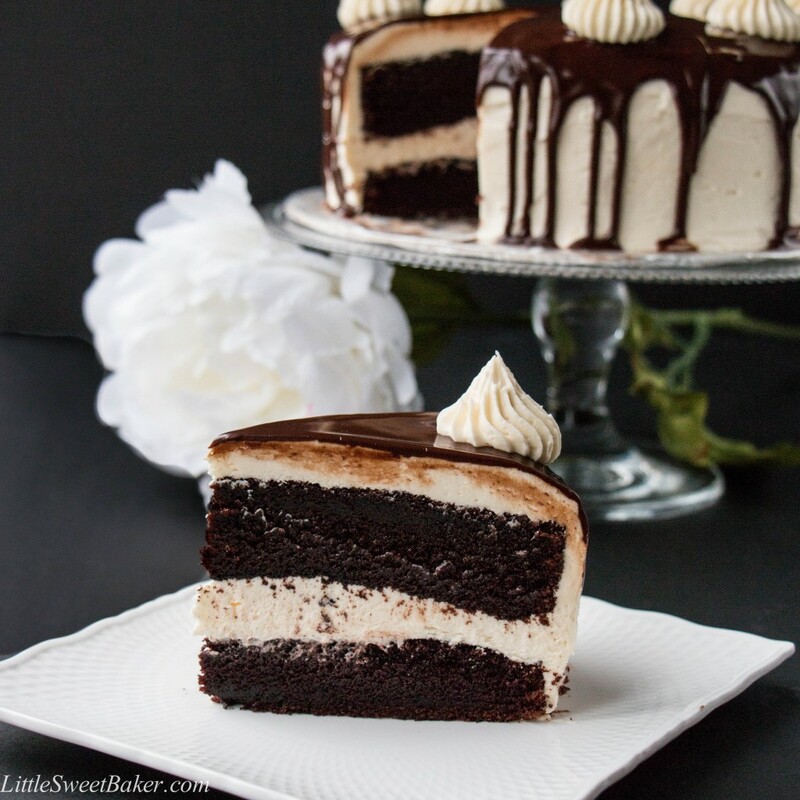 Is it possible to make this cake and not sure the coffee? HI! I want to possibly make this cake for my birthday- Is the coffee strong? I want to put the chocolate cake, white choc and champagne flavors together, will the coffee clash? Such a beautiful cake! May I ask what nozzle/piping tip did you use to pipe those lovely buttercream on top of the cake? Thank you! Thanks Shani and I used a Wilton 8B tip to pipe the buttercream on top. ANOTHER DECADENT BEAUTY LILI! SPECTACULAR. Not getting your Instagram feed. Are you posting?